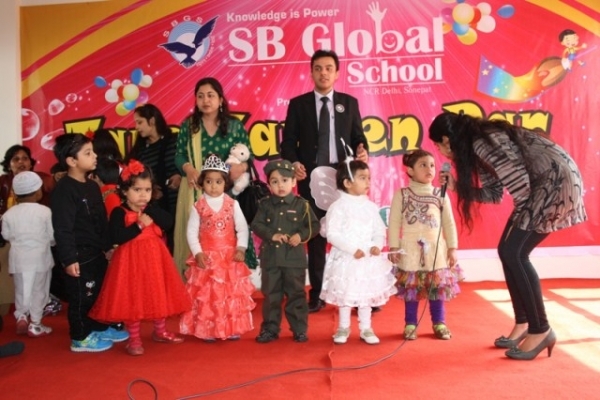 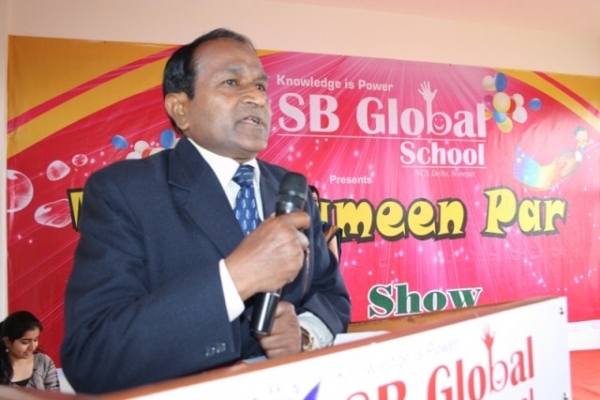 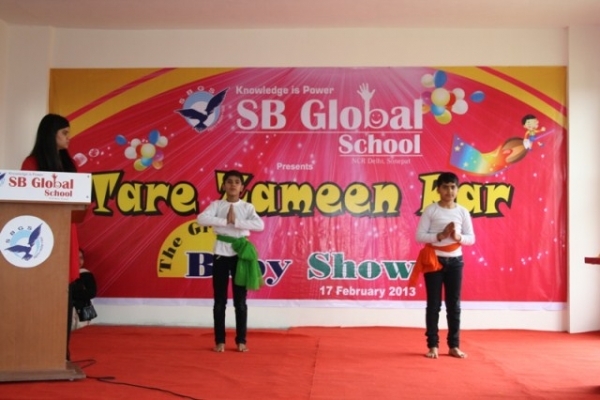 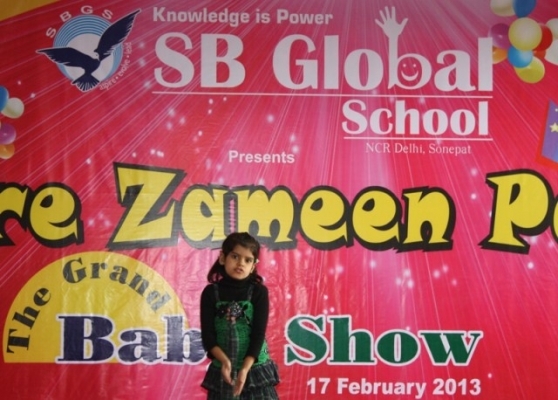 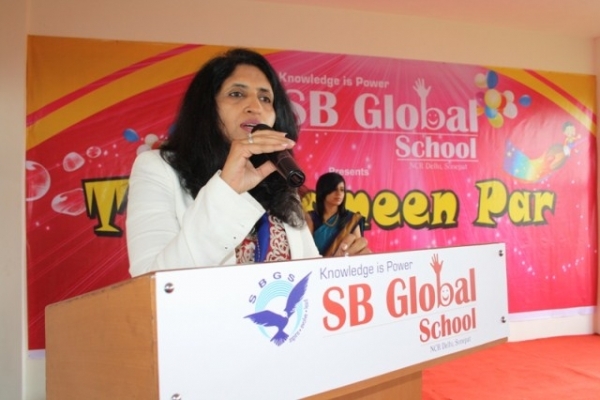 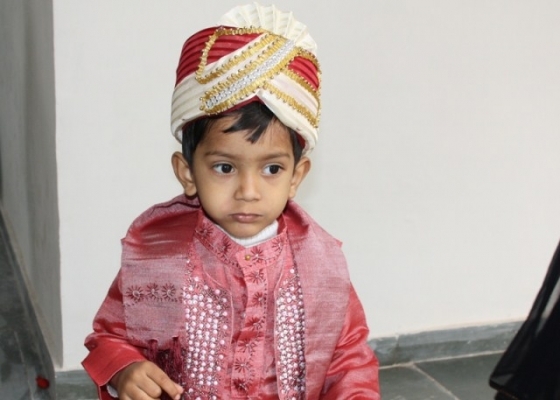 SB Global School premises was filled with the giggles & shouts of the little stars on 17 February 2013 as the school organized a fun filled baby show for kids up to age of 10 years. 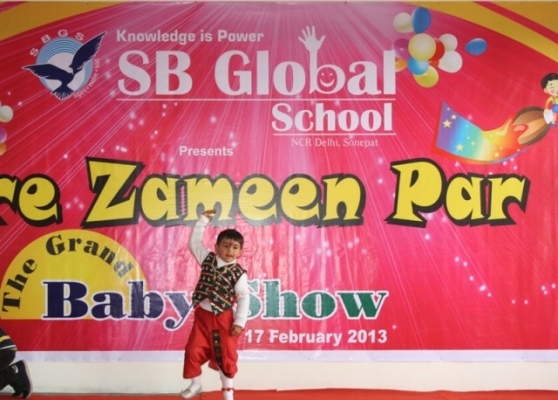 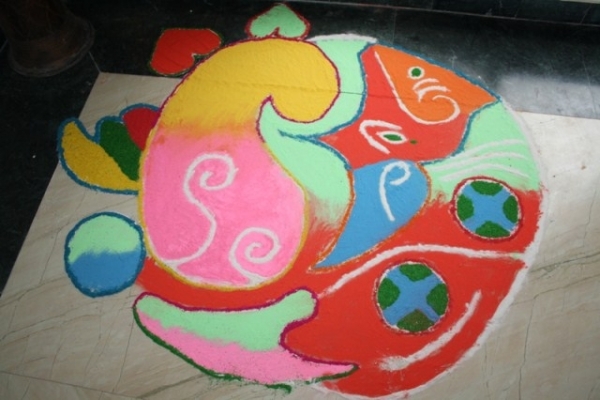 Around 300 tiny tots and kids from Sonepat, Panipat, Delhi and nearby areas participated in the grand show. 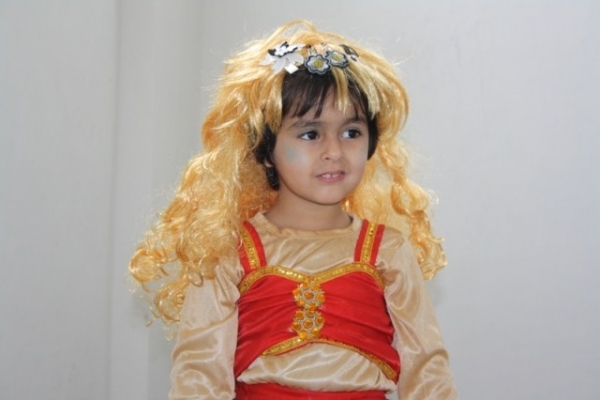 Children were evaluated under different age groups: 3 months -1 year, 1-2 years, 2-4 years, 4-7 years and 7-10 years. 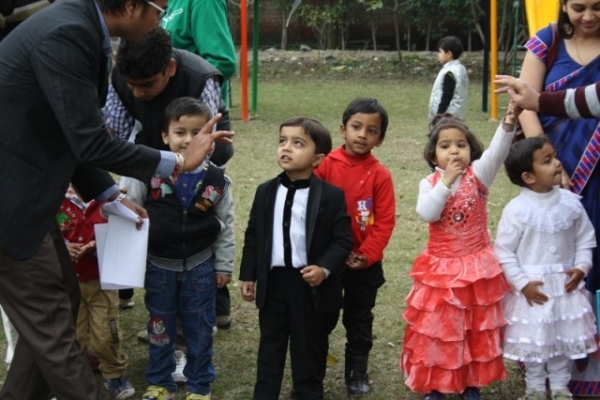 The very enthusiastic toddlers participated in various categories like healthiest baby, photogenic baby,sunniest smile, friendliest baby and many more. 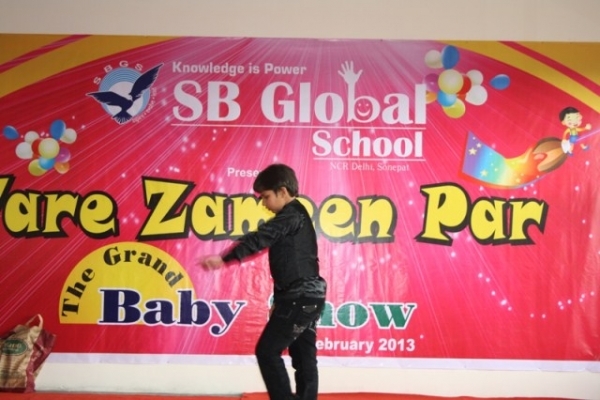 There were many exciting and fun-loving competitions for the kids above age of 4 years at the show. 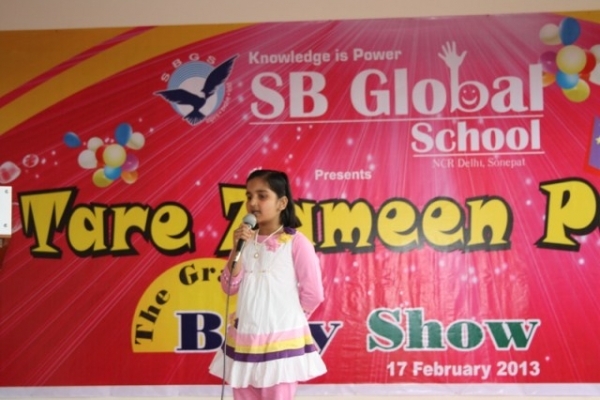 The show provided a right platform for the kids to showcase their talent in a variety of activities like singing, dancing, storytelling etc. 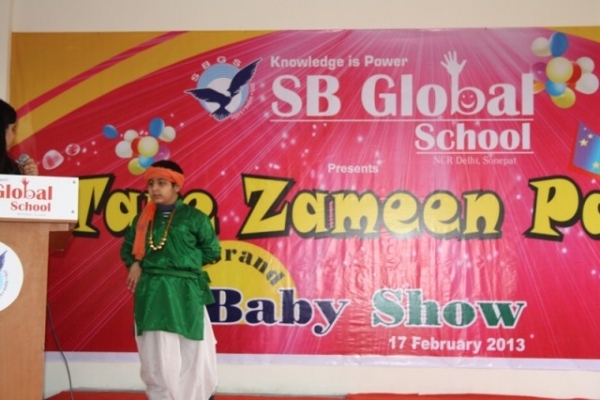 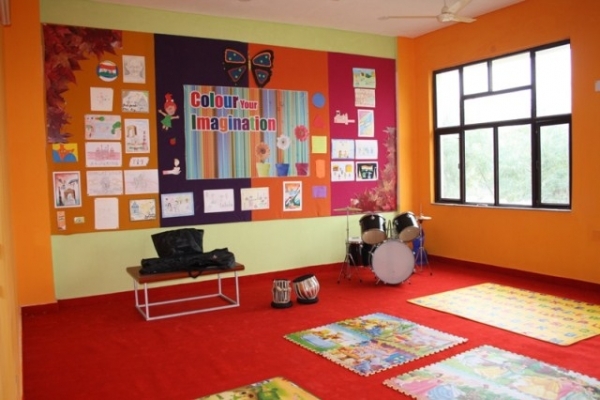 The overwhelming response and the performance of the children kept the audience enthralled for hours. 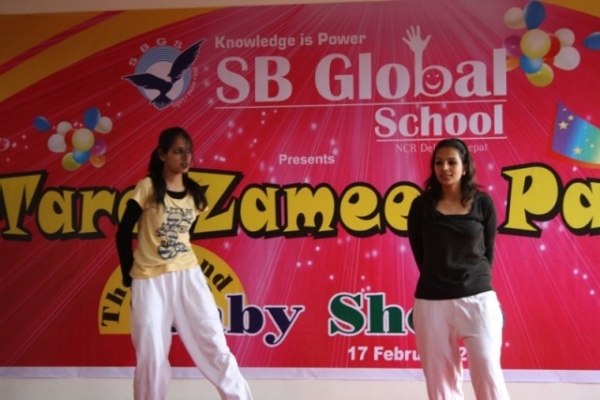 Every participant was given encouragement by being awarded a certificate and a photograph. 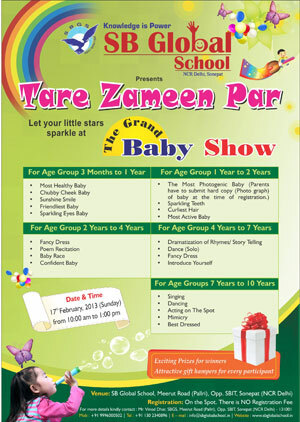 The Baby Show was a grand success and it was also a wonderful and exciting experience for the parents as well as for their kids.